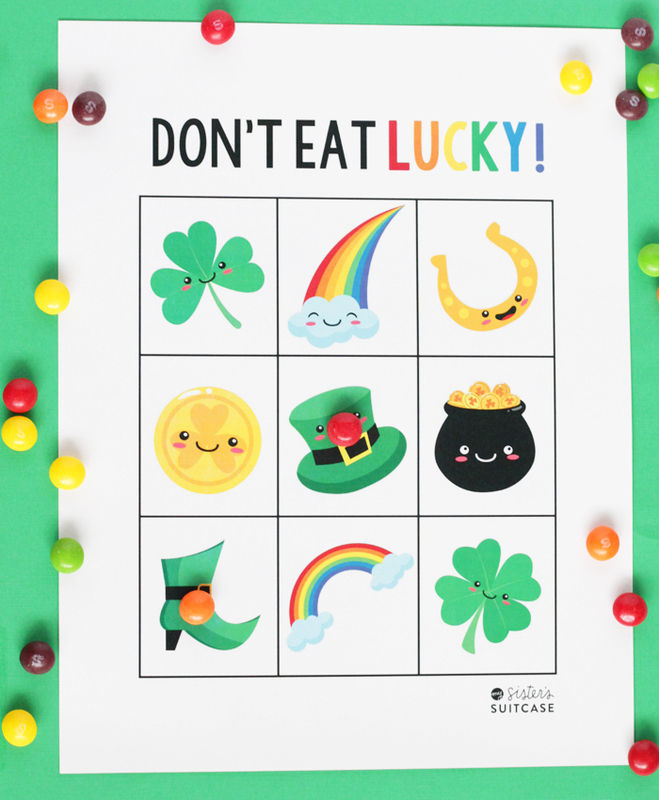 St. Patrick’s Day Printable Game: Don’t Eat Lucky! Over the years we have shared several versions of one of our favorite games for kids… Don’t Eat Pete! 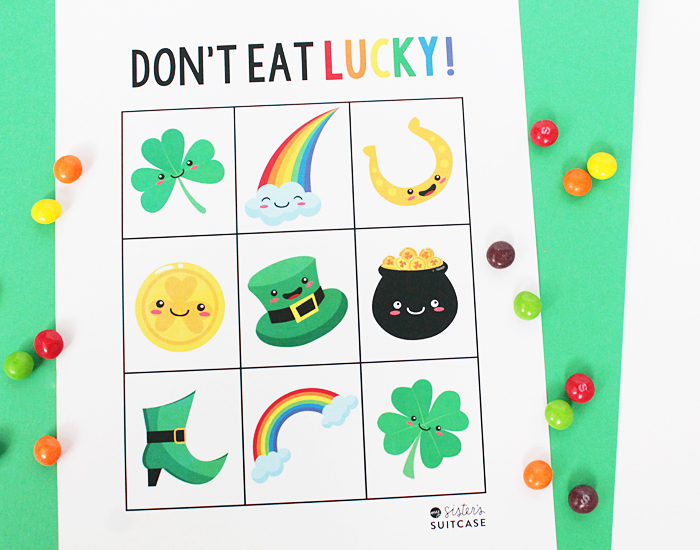 Today we are sharing a St. Patrick’s Day printable game – Don’t Eat Lucky! 1. Place one piece of candy or whatever marker you choose in each square. 2. Have one child out of the group leave the room. 3. The other children decide which square will be “Lucky” for that round. It can be any one, but only one. 4. The child comes back in the room and takes one candy at a time, until he reaches for the one designated as “Lucky”…. 6. Play starts over with another person leaving, the grid is all filled, and another “Lucky” is chosen. Variation: if you pick “Lucky” very first, you get all the candies! Fun! 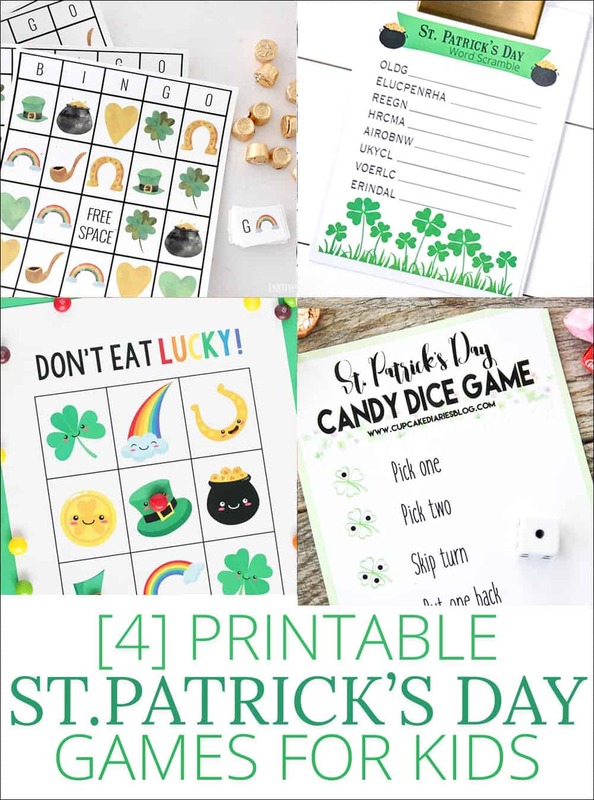 Also, don’t forget to check out these fun games from some of my blogger friends! I’m so sorry! The link is below the second picture in the post (after the instructions). Let me know if you are still having trouble and I’ll email it to you. Thanks!